The interest for Tristania in their home country after the Rubicon release has been increasing day by day, and now the band has added two more gigs for the Norway part of the Rubicon Tour. 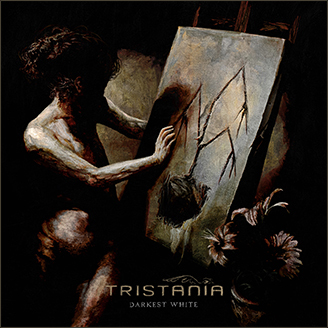 Tristania will be doing a special show when they visit Kristiansand, Norway on Thursday September 30th. It was recently confirmed that the band has accepted a proposal to do an Under 18 show at Bingen on the same date as the Kick Scene concert will take place. There will be organized a band contest by the promoter Bingen Booking, and one lucky young metal band will get the chance to support Tristania. “We thought this was a nice thing to do. Kjetil knows about Bingen Booking from before, and they’ve organized similar gigs with other big Norwegian bands like Turboneger and Big Bang. This has turned out to be a great success for the kids, and we’re also hoping to give them a great gig which can be inspiring and overwhelming”, comments the band. Also – it was today confirmed that Tristania will play at the legendary venue Pakkhuset in Farsund on October 2nd. “I grew up hearing about Pakkhuset all the time, and I’ve been there a few times but never played there. Farsund is a smallish town, but the organizers are optimistic that the Tristania gig will become a big happening. And we’re really looking forward to playing there”, singer Kjetil says. This entry was posted in News and tagged kjetil, kristiansand, rubicon, tour, tristania. Bookmark the permalink. We’r looking forward to have you guys on our stage.